As we age, healthy hair becomes a concern for both men and women. It's a sign of our youth getting away from us and may even cause some to get worried. One things for sure, we cannot reverse time BUT we can do other things to ensure we are doing everything on our part to maintain healthy hair. Will the following tips guarantee hair growth? Of course not. There are many factors that lead to hair loss such as genetics - and although we can't control this, small things like diet and daily habits can have a a huge impact. Cold Water is your friend. Hot showers are amazing, but they are kryptonite to the scalp. Cold showers promote hair growth while hot ones promote dryness. Cold water also detoxifies the scalp and closes up tiny hair cuticles which minimizes oil from spreading which causes all types of havoc. Coconut Oil has been used in India for centuries to promote not only better internal health, but also external. Coconut oil contains fatty acids that reduce protein loss from your hair. Although the research is inconclusive on the true benefits on coconut oil, it does give it hair a a darker, bolder and healthier look. Aloe vera can be found almost anywhere and is great to use a few times a week on the scalp. It reduces dandruff and unblocks hair follicles that may be clogged due to excel oil. Health food stores carry organic Aloe Vera and can be used directly from the plant - just make sure to refrigerate to keep it fresh. Giving yourself a hair massage can loosen tension and stress in the scalp. Make sure not to turn the massage into a itch session. Using our nails destroys the scalp and further promotes hair loss. Giving yourself a massage also spreads the naturals oils and can potentially alleviate clogged hair cuticles. 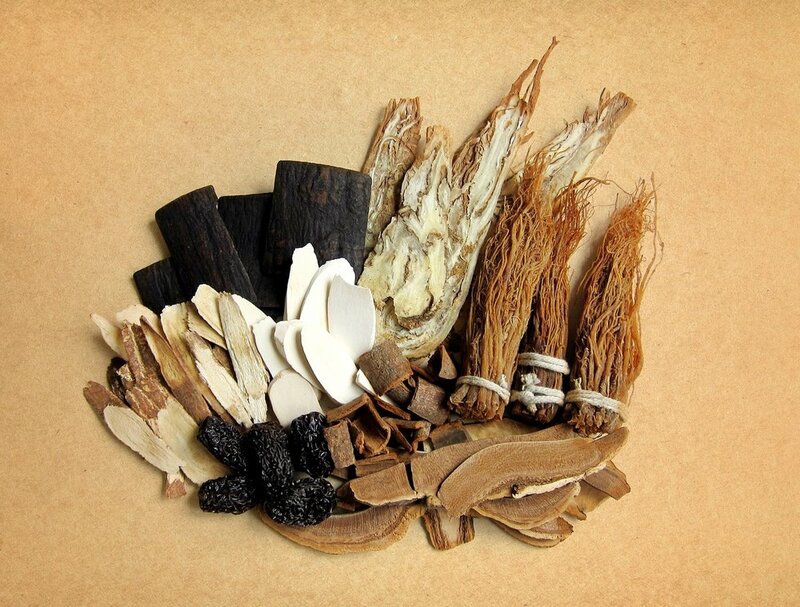 Ginseng is a wonder supplement. It increases blood flow to the scalp and promotes the growth of the dermal papilla cells which decrease and eventually die off as we age. When blowdrying your hair avoid the high heat settings because it promotes dryness which makes an inhospitable environment for hair proliferation. If you must use heat then use a heat protectant. Most blow dryers come with lower heat settings and the more advanced ones have neutral air. Eat the right foods. To promote hair growth make sure you get quality protein in your diet. Foods like fish, nuts, lentils and whole grains are amazing. If you must eat poultry or red meat make sure the sources are high quality because most of our proceed meats contain so many chemicals and hormones that they are overall unhealthy. Come by anyone of our Bharat Bazar locations for coconut oil and other hair rejuvenating products!